Typically, formation for First Holy Communion and Reconciliation begins once a child has reached the age of 7 (or 1st grade). As is the norm in this diocese, a year of formation and a year of preparation is required. For students 4th grade or younger, we have our 1st Year of Sacramental Preparation and 2nd Year of Sacramental Preparation offered during the Religious Education program. For students 5th grade and older, we ask that they register for the Religious Education program for their grade. During the second year of formation, additional formation that is in a small group format will prepare the young person for the sacraments. First Reconciliation will typically occur during the Advent Penance Service or anytime prior to the child&apos;s First Holy Communion. 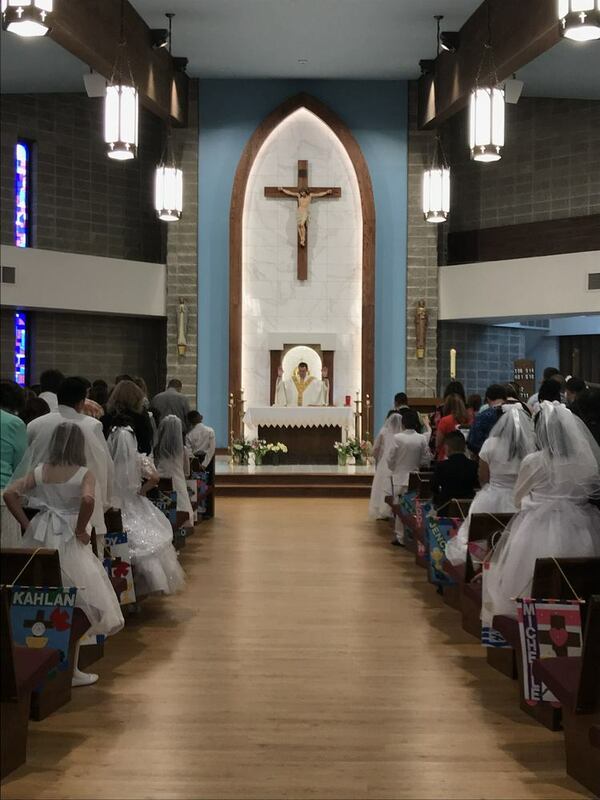 First Holy Communion will typically occur on the first Sunday in May. The Mass will be offered bi-lingually.